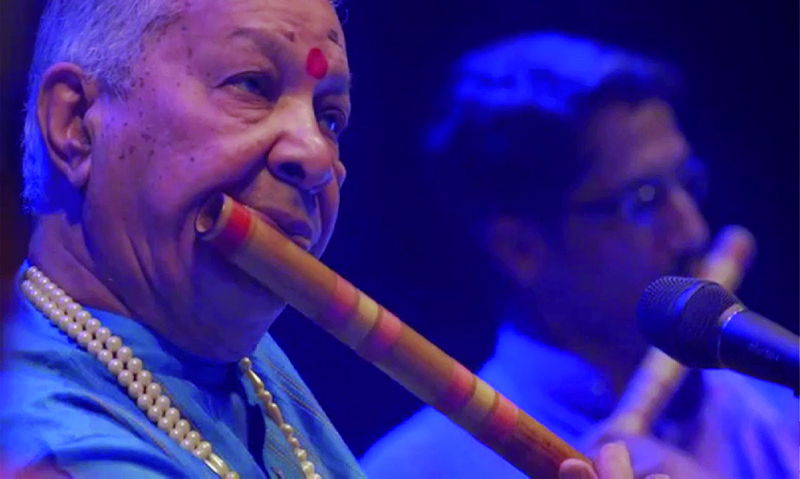 FIND Foundation will host a workshop in Indian bansuri flute music, conducted by Maestro Pt Hariprasad Chaurasia. The workshop will be held in Villa Labirinto, formerly the residence of Alain Daniélou, and now FIND’s residential centre in Italy. Pt Hariprasad Chaurasia commenced his flute studies at the age of eight under the guidance of Pandit Bholanath Prasanna in Varanasi. In 1957 he started his career as musician and composer with All India Radio in Cuttack (Odisha. He has performed worldwide, and has received great acclaim in India and abroad. For The Beatles, he played “The Inner Light”, written by George Harrison. The Workshop will be held in the morning with two hours of lessons following the traditional Indian style of listening and repeating short musical phrases played by the Maestro, and by improvising on the classical repertoire of Hindustani ragas. The afternoon will be dedicated to further practice with the assistance of Nicolò Melocchi, senior student of the Maestro, who will guide the participants in technical exercises and private lessons. All costs include a coffee break, a light buffet lunch, and a closing snack on Thursday 23 June in the gardens of the Foundation. Places are limited (max. 20). All applications must be received by June 6 2016, and participation will be confirmed on the order of receipt of applications. Participation is to be considered confirmed only following receipt of all payments.